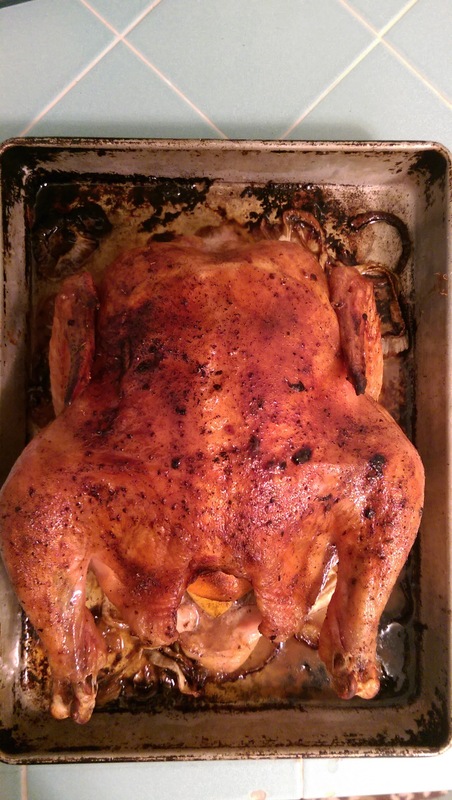 One of my favorite “go to” meals is a whole Roasted Lemon Chicken. When the kids were growing up it became the meal I’d make every Friday for Shabbat. I liked the smell that wafted through the house as the onions started to caramelize and the chicken started browning. It just felt like home to me and I loved the familiarity of the smell and that it meant “Shabbat.” It has since become my go to meal that I deliver to friends and neighbors in their time of need, whether a joyous occasion like the birth of a baby, or a friend who’s going through a hard time and just doesn’t have time to make dinner for the family. When delivered to their front door it is usually accompanied by rice pilaf and salad…and maybe a bottle of wine. Even though I live alone now, I still make it for myself at least once every two weeks and the leftovers last for days, providing many additional meals. Preheat oven to 400. Spray a pan with nonstick spray. Layer the sliced onion on the bottom of the pan. Place the whole chicken, breast up, on top of the onions (this way the skin doesn’t stick to the pan.) 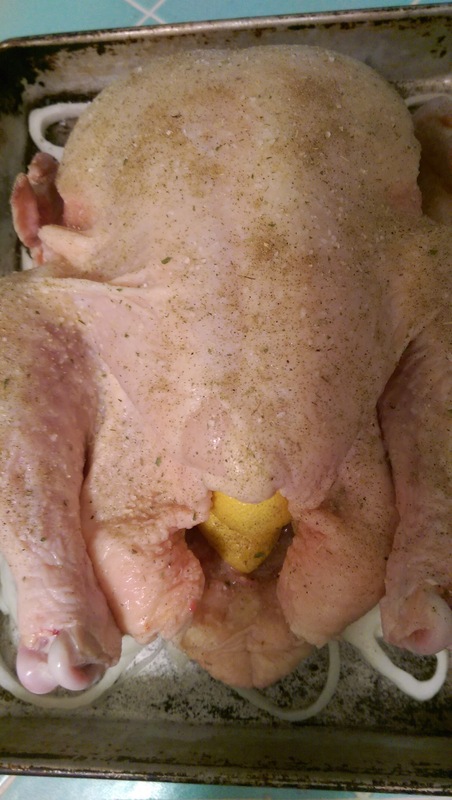 Quarter the lemons and squeeze over the chicken and then place in the cavity of the chicken. Season all over with poultry seasoning, garlic salt and white pepper. Place in oven and baste every 15-30 minutes or so. Depending on the size of the chicken it usually takes around 1 hour to 1 ¼ hours and skin should be perfectly browned and the onions will be nicely caramelized too! Let it cool a bit and then carve into pieces. 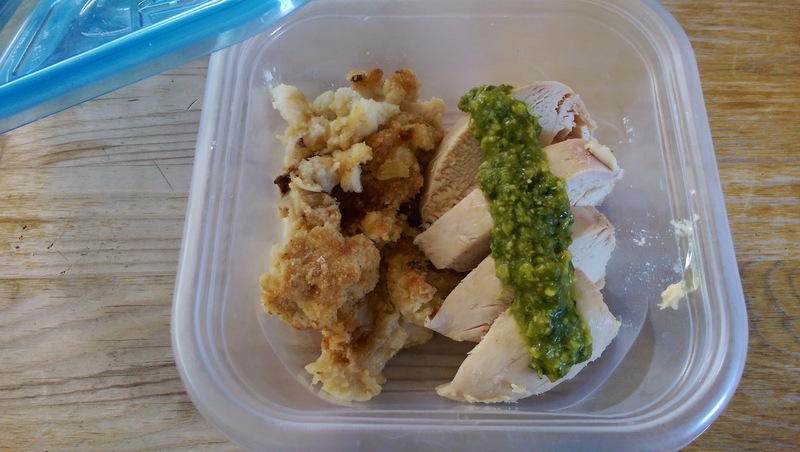 So easy…and the leftovers can be used for other dishes during the week. I’ll post some of those at a later date. I love the wings! 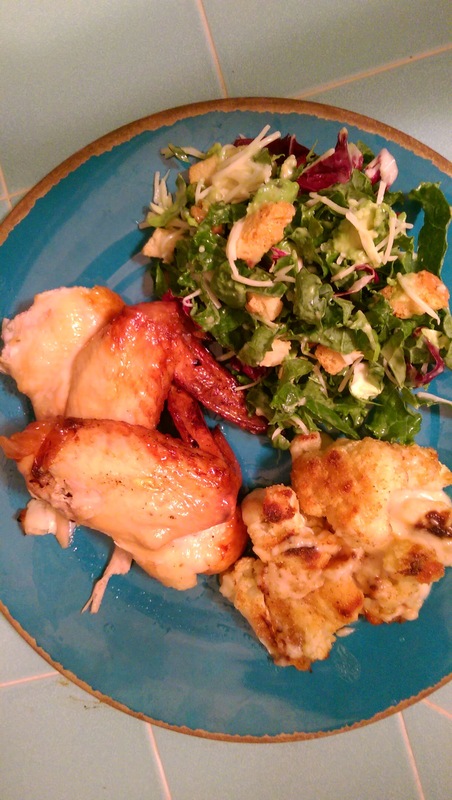 …and I made cauliflower au gratin & salad to complete the meal. 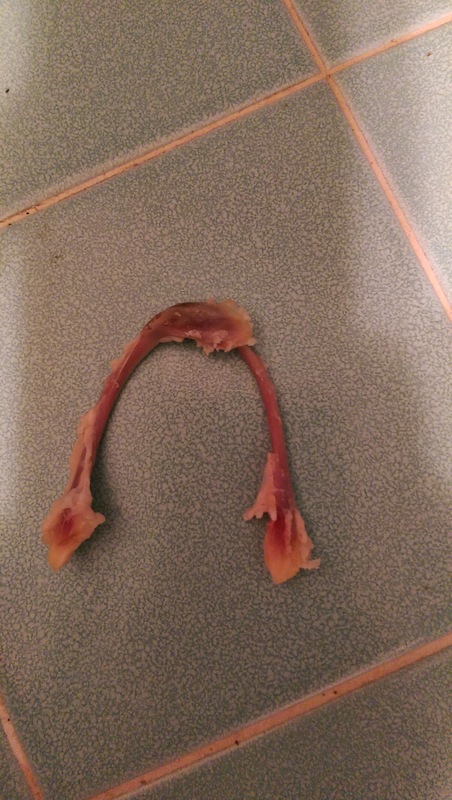 Don’t forget to let the wishbone dry out and then grab someone to make a wish with! 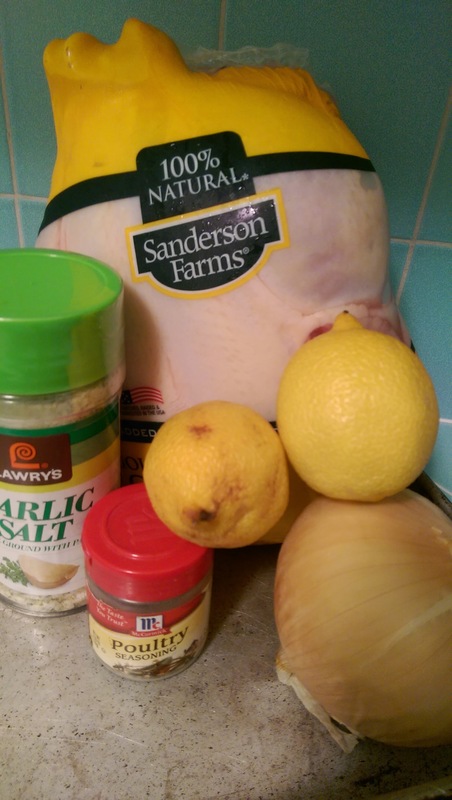 Variation…I’ve also done a whole chicken using soy sauce, sesame oil & sesame seeds in place of lemons & poultry seasoning (I always use the garlic salt) to give it an Asian flair. I’ve made my version of this the last couple of times I visited my Mom…leftovers included chicken&rice soup, chicken risotto with caramelized onions and chicken salad sandwiches. It’s the BEST!! Yummy! I cannot wait to make this. Love your new blog, Jeanine! If i wasn’t neck-deep in Thanksgiving preparations I would be making this tonight! Looks like a great recipe…Happy Thanksgiving! This sounds yummy , I’m going to try your recipe! I love reading your blog!